How to find Church Guitar Chords Online – Selah. Update 2018-03-28: Just came across an amazing site that can help you identify a song’s key just by clicking on chords – as you add chords it narrows down the possible key. Keep going until there’s only one left. Thank you to the helpful @cbougher over at Ultimate-Guitar.com where I was commenting on a song where I was unsure about the key. Update 2018-02-10: Linked my growing personal collection of chords under the Finding the Right Sites for Chords heading. Also reorganized with an intro section, then updates, then a table of contents for ease of use now that there’s a number of sections. Update 2018-01-27: Shout out to Guitar Hymn Book.com and Guitar Chords For Hymns.com for providing excellently chorded and formatted songs, and also easily saveable/printable! While most of my chords I find are now from Ultimate-Guitar.com, these guys deserve some credit, kudos, and thanks for their efforts, too! Update 2017-08-12: Added “Converting PDF to HTML” with links to PDF to HTML conversion sites for when the only chords you can find are PDF but you still want native browser display. Update 2016-07-02: Check out webrix.co.uk. I just came across them doing a search for Praise To The Lord Almighty. They have a clean look and easy method to change keys. They only have a few songs but it looks like a good start. Update 2016-03-17: Added section about viewing music on a Hipstreet Phoenix tablet rather than print outs. Update 2015-08-15: I’m now storing my chords for things like Sunday services, VBS, etc., over here: http://www.selah.ca/chords/. There’s a search, too, although Google seems a little slow on indexing that part of the site. Update 2015-04-11: Added some tip sections about preferred chord layout and alternate version cautions. Firstly, I simply do a google for the name of the hymn and append “chords” on the end of it. 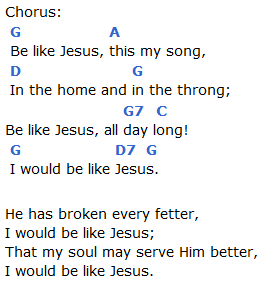 For example, “all hail the power of Jesus’s name chords” returns results from Ultimate-Guitar.com, HymnChords.net, TraditionalMusic.co.uk, and plenty of others. Watch out for poorer chording work, though, some of it is in weird chords or doesn’t quite sound right. Some are based on modern takes on the music rather than a traditional take, or vice versa, so you’ll have to watch out and get the right one. I also have a growing personal collection of chords I’ve collected roughly weekly for our Sunday services for the past few years. It’s mostly traditional hymns we sing at church. Just click that link and then click around the folders. You can also search that same collection here, just use the Google Search field at the top of the page. The next thing I’ve learned is the best sites that allow you to transpose music. When I transpose music I’m converting it from one musical key to another. For example, the piano players may want to play in a key that is not as friendly on guitar as another key. For example, if the pianos want to play in the key of Ab then I will play guitar in the key of G with a Capo on the first fret. The best sites for this are Ultimate-Guitar.com, Chordie.com, and, surprisingly, KlangWesley.com. Each of these has a way to “tranpose” the key up or down which automatically adjusts the chords displayed on the page. 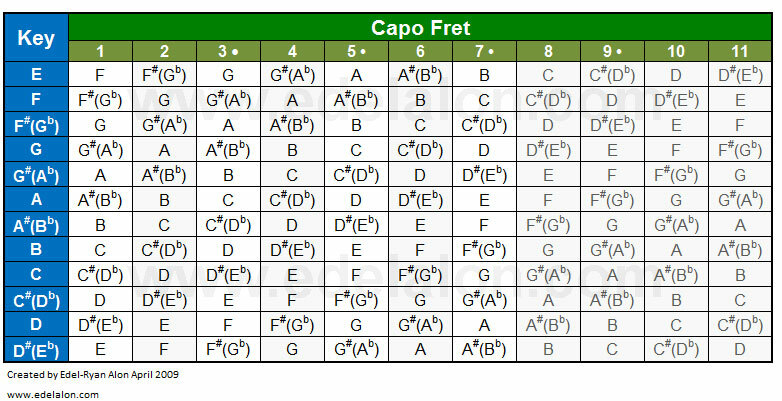 Speaking of keys and capos, you’ll find you need a handy chart which tells you on which fret to put your capo for the key you want to play in when the key being played by others is different. Take a look at the chart below and find G along the left-hand column (this is the key you want to play in) and then scan along that row for the key others are playing in. 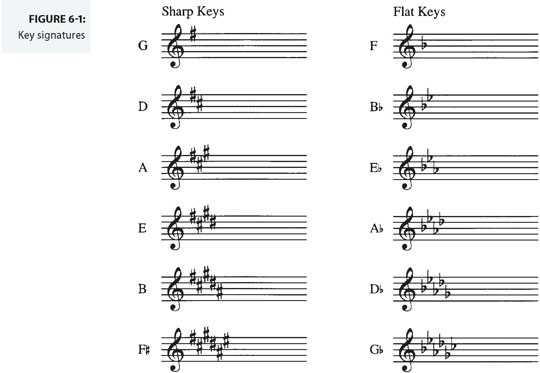 As mentioned above, if I have music in the key of G but others are playing in Ab then I find the G row, then look to the right and find Ab in the first column meaning the first fret. You may find this page helpful, as well, as it goes a little more in-depth. This amazing site that can help you identify a song’s key just by clicking on chords – as you add chords it narrows down the possible key. Keep going until there’s only one left. Thank you to the helpful @cbougher over at Ultimate-Guitar.com where I was commenting on a song where I was unsure about the key. Pick the chords: See the key! And if you get really, really good you can start jamming along to songs even if you don’t have the chorded music if you just know the key they’re playing in because you start to get a feel for the few chords in a key and what the common chord transitions are and you’ll be able to play right along. I’m lucky enough to have a grandfather and uncle who can do this like magic. When I first started googling I came across a number of hymn and praise song chord books in different formats. I thought these would be great, sort of authoritative sources for hymns, but they didn’t really turn out that way. It doesn’t mean they aren’t great resources, just that, for me, I needed the transposing tools the websites provide. Regardless, here’s what I found on the internet. There’s the St. Mark’s Battersea Songs Chords January 2002 Word doc, Deerfoot Lodge Song Book (backup link), Guitar Chords – Gospel – 100 Songs (backup link), Christian Hymns Guitar Chords (backup link), Hymns and Praise Songs (can’t find original), When I Consider the Heavens – A book of Songs of Worship and Praise (backup link). All of these are quite professionally written and presented and would make a good source for solo work or where you’re in control of the keys. The only drawback is you can’t transpose the songs like you can with the websites. Sometimes the major sites will have the preferred layout but most often not. I’ve found that it takes looking through some of the lesser known ones to find them. I really prefer the transposing tools provided by some of the major sites but the downside is often you’ll come up with the wrong version of songs, by different artists, in different tunes, etc. So make sure you find the right version. On Ultimate-Guitar.com, for example, when I’m not sure I do another search on the site for the song title and often you’ll see many results. Check the higher rated ones and, if you’re looking for a common song, look for an author of “traditional”, “hymn”, “praise”, etc. rather than a real name. That usually indicates it’s the common version of the song. Watch out for versions by popular artists where chording may be very different than what you’re used to. Of course, all this works in the opposite direction, too. Watch out for traditional versions if you really do want modern versions. You might be surprised there’s more to printing than just clicking print. I use Firefox because its Print option in the menu provides a preview of what it will look like printed out which is often not like you’ll see in the web browser! It’s also pretty accurate as far as paging goes. If you see the Preview windows says it’s on two pages then try Scale/Zoom feature at the top. Usually you can shrink it down to one page and still be readable. Then, when clicking the Print button, be sure to select “Print range” Pages option and tell it only print the first page. Remember, some sites provide PDF download links and these tend to be easier to print with as they’re sometimes formatted differently. Some sites, like Ultimate-Guitar.com, allow you to show and hide certain things like chord layouts. These options can help you save space and get your print on one page. I bought my Hipstreet Phoenix at Walmart when it was on sale for $120 (Canadian) so for about $140 after tax I had a 10″ Android tablet. Compared to all the other 10″ options, at that time, nothing was really close. It turns out to have a great amount of features and a decent amount of horsepower for such a low cost item. 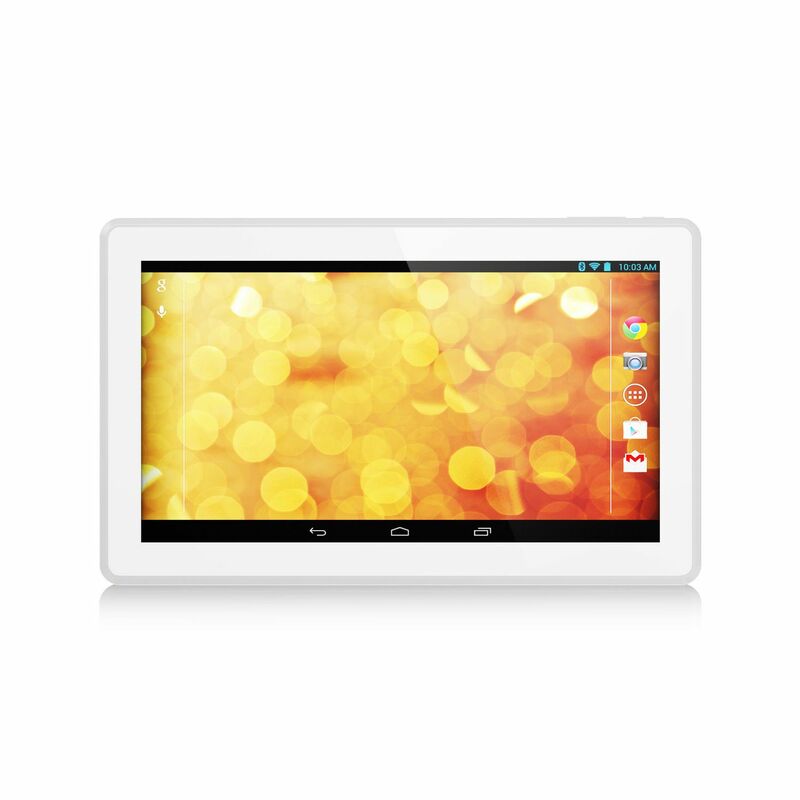 It’s 10″ with 1024×600 resolution, comes with Android 4.4 KitKat which is still quite capable, 16GB storage, quad-core processor, microSD slot, and micro USB slot. It’s not the fastest tablet out there but it’s fast enough to simply display chords in church. Battery life is actually very nice. It can stay lit up at full brightness all service long if I needed it to. It could probably last twice that at least on a full charge. Turn off the screen when not in use and it’ll last a long time. As far as screen resolution goes, at 1024×600 it’s a little too narrow, I would’ve liked iPad aspect ratio, but it gets the job done at its price. Build quality is actually not bad. It doesn’t really feel cheap at all. It’s got a real metal backing and the front is a quality plastic. It took me a long time to get all this together and understand all the parts of it. Before this I only really knew chords on guitar. I didn’t know about all the keys, and what chords were in a key, and how to capo to play in a different key, and how to read keys from piano sheet music, but now I do and it’s so much easier. I hope this helps someone out there! Good luck!